You can connect your Gift Up! 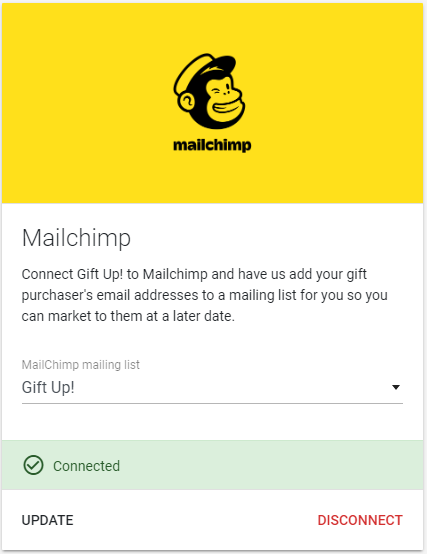 account to your Mailchimp account and every time you sell a gift card we will automatically add the purchaser's email address and name into the list you choose. You will then see them in your list with the "source" being "Gift Up!"